The referee was beaten mercilessly by the the spectators. 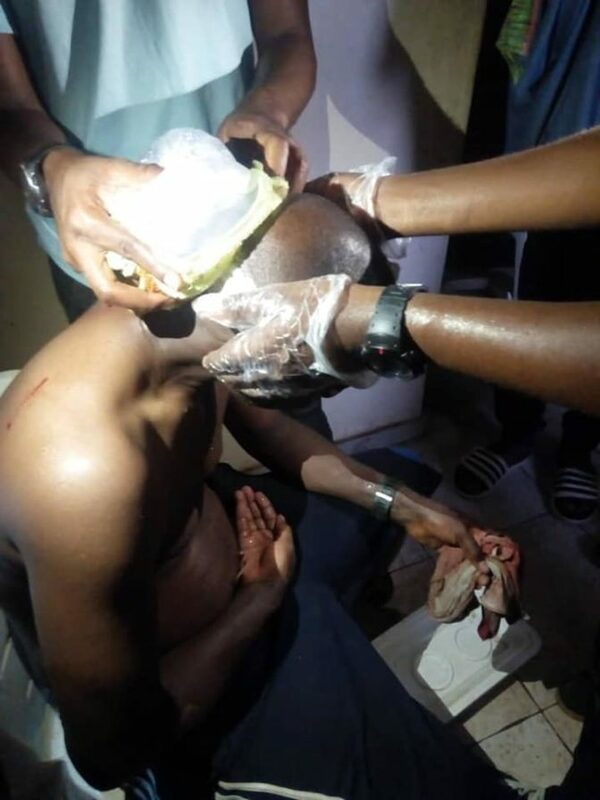 Nigeria Professional Football League (NPFL) match day three encounter on Sunday, January 20 between Remo Stars and Bendel Insurance ended in a bad note after a referee and other officials were reportedly attacked by supporters. Remo Stars were held to a 1-1 draw at home by Bendel Insurance. According to reports the home supporters of the Sagamu based outfit were reportedly not impressed with the way the game was handled and let their frustrations known at the completion of the encounter. Pictures circulating on social media have shown the referees brutalized and in need of medical attention after the fans descended upon them. It was the opening game of the season for the two teams who recently gained promotion from the lower division to the NPFL and they both met in the NNL Super 8 tournament . The development comes after the League management Company (LMC), placed a fine and Stadium ban on Plateau United for an identical situation which involved officials attacked by home supporters .